If you have been wondering on how to open dispensary for marijuana, you may consider taking some research. 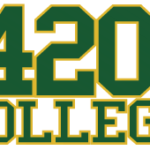 420 college provides some education on how to start and run the business. In the first place you have to be in a state where medical marijuana is legal. California is one of the states where a huge numbers of marijuana traders meet. Here big amounts of money exchange hands and there is a lot of revenue collected back by the government. In the United States many laws have been passed regarding medical marijuana business. There is no much worry on how to open dispensary nowadays with the support from the government concerning the business. 420 college can boost your knowledge on the business. This is a wonderful business opportunity where you will carry out consultancy for marijuana related medical cases. Medical marijuana is known to give wonderful treatment for victims suffering from dangerous diseases such as HIV AIDS, cancer among others. This has been medically proven by professionals in the field of medicine. 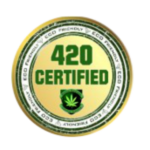 Some professionals from 420 college have actively been involved in making the move legal. Today the number of medical marijuana businesses has boomed with new legal laws passed concerning legal marijuana trading in the United States. Before you open the business you need several legal certifications. In California you can have a marijuana dispensary registered as a non profit venture. This is not the same in other states. A consultation clinic must come in handy. This is because the marijuana dispensary will go in line with the clinic. You have to seek further consultation from the clinic. A medical doctor will issue recommendations to patients. Patients have to carry a written down document from the doctors alongside their marijuana identification cards. If you intend to run a marijuana business, you have to get informed on all the required certification from the state government. You have to keep abreast all latest federal laws to avoid violation which may lead to arrest. The above tips will give you a blue print on how to open dispensary. Open a Legal Medical Marijuana Collective | SAC | Feb 11 & 12!